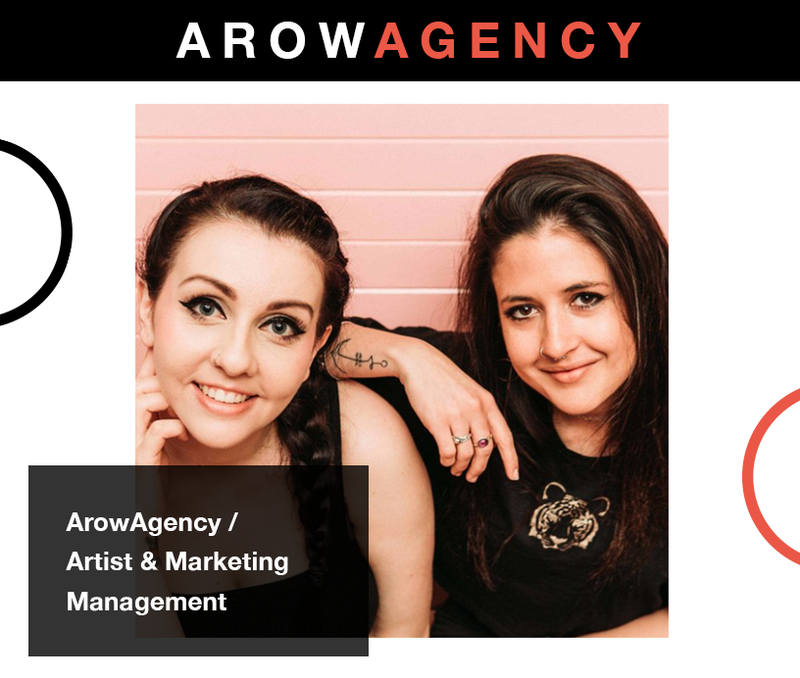 AROWAGENCY IS AN Australian-based music company specializing in artist management, digital and social media marketing, publicity and event management. 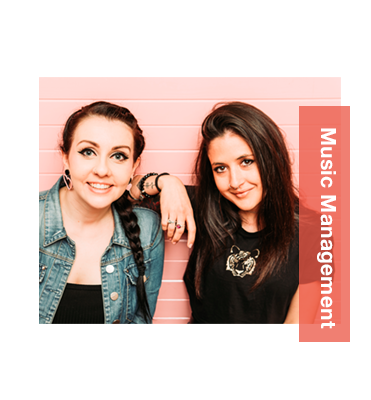 With combined experience across marketing, digital and social media, publicity, radio, A&R, artist development, label management and publishing, co-founders Elizabeth Browne and Tamara Georgopoulos work to create engaging campaigns to connect artists and organizations with their audiences. They bring creativity, passion and a dedicated focus to everything we do. They stand for diversity and aim to create a supportive and inclusive community within the music industry. What is ArowAgency’s origin story? We met during our time working at Sony Music Australia. Tam worked in the A&R team across a roster of 60+ local Australian acts, managed the in-house recording studio and event managed various album launch events and the yearly Sony Music ARIA Showcase. Liz worked in the digital team promoting national and international releases across digital music platforms such as Spotify, Google and YouTube as well as label managing some of Sony’s alternative labels. During our time working together at Sony we bonded over our love of music and a vision for the future of the music industry. One sunny day over lunch in Sydney’s iconic Hyde Park we said “let’s do this!”, and ArowAgency was born! What is ArowAgency’s ultimate mission and who do you benefit? We’re an artist first company with a mission to empower independent artists by using our major label experience to help create engaging release campaigns that are a little different from the cookie-cutter mould that currently exists. In our first year of launching ArowAgency, we noticed a trend forming in the industry. Whilst artists were actively seeking assistance with publicity, there were an increasing amount of artists who actually needed a little bit more than what was being offered in the market. With this in mind, we launched our Release Planning Services in 2017, offering a range of bespoke services, including digital marketing, social media strategy and community management, publicity and artist development. Artists invest so much of themselves into creating music and we’re very passionate about offering a suite of services that are all-encompassing, giving us an avenue to nurture and develop local talent and assist them every step of the way in releasing new music! Thanks to Music NSW, we’ve been fortunate enough to host Release Planning Masterclasses with the aim of educating and empowering artists in planning their next release. Our masterclasses cover everything from marketing and social media strategies, timelines and touring right through to publicity. We also run social media workshops for artists and labels across Australia. We exist to benefit independent artists, songwriters and producers not only in planning their next releases, but in planning for the next stages of their careers in an industry we love so much! How have your experiences helped shape how you approach strategies when taking on a new client? Our experiences span across radio, marketing, digital, publicity, A&R, artist development, label management, venue booking and publishing and we recognised very early on that combining our experiences and working to develop artists would be a huge part of our point of difference as an agency. Coming from a label background, we recognise that our skill sets and knowledge isn’t readily available to up and coming artists, so we set out to structure the core function of our agency around educating artists in having all the necessary tools to make the right decisions and achieve success in their careers. First and foremost, our goal is to educate artists and treat them and their teams with respect at all times, accepting their vision and helping to shape it into something that will work in market. Working in music is a tough gig and we’re all on the same team! How much of an impact do you think social media plays in an artist’s career? What should artist’s know or do when starting and maintaining their social brand? Whether we like to admit it or not, social media plays a huge part in shaping and developing an artist’s career. From online aesthetic and tone of voice through to their online artist network, an artist’s social media presence and digital footprint is a direct reflection of who they are both artistically and personally. In addition to this, social media is the most important tool for fan and audience acquisition, which links directly to achieving higher music, ticket and merch sales. We live in an age where everything we want to know is directly accessible via the internet and fans are wanting more and more behind-the-scenes access and insight into the lives of their favourite artists. The more you provide, the wider your audience becomes and the more likely it becomes that you will climb the Spotify and iTunes charts and sell more tickets to shows! What advice do you have for up-and-coming artists? What advice do you have for independent artists trying to make a career in the music industry? Be patient - remember that good things take time. Remember to celebrate every win - big and small! Creating the right team is the most effective way of achieving all of the above. From who you work with in the studio through to your publicist, management and tour manager… every single person on your team has to share your vision and empower you every step of the way! What kind of impact does artist management have on artists/songwriters? Does it impact an artist’s community, and, if yes, how so? As artist managers, our main roles are to help build, develop and strengthen the careers of our artists. We’re constantly setting goals, assessing progress and re-setting goals along the way! We also have our own benchmarks and goals as managers with our own careers, which is equally important for the growth of our agency and in turn our artists. The most important part of any artist’s career is having the right team. The team around you has an incredible amount of influence over your career and it really is key to ensure you have the best, most trusted people around you. We have a rule for our artists that the only people we welcome into the team are those who are just as passionate as we are about about their music and their careers! As for how this impacts the community, an artist’s network is more than just them and their fellow muso’s. An artist’s network expands through to their team and it’s a managers role to network and connect the dots to make things happen and ensure the right people are on their team. The music community is very tightly knit and the saying ‘everyone knows everyone’ rings very true! It’s important to stand together as a community and support each other and you’ll often find that managers support other managers in the very same way artists support other artists. It’s all part of forming supportive bonds and strengthening our local communities. What kind of events do you feel make the most impact for an artist/songwriter? What’s the first step an artist should take when thinking about hosting an event for their brand? We find that songwriting camps can bring a lot of success to an artist/songwriter. From writing a hit through to forming new friendships, songwriting events are a huge part of talent and confidence development for any artist. The most common form of event a band will host is a show, and the first steps to take when putting on a show is to consider venue size and support bands that will help draw a crowd. It’s also extremely important to remember that you don’t always have to be the headlining artist/band! If you aren’t at the point where you can draw a headline crowd, support a band bigger than you so that you can tap into their audience. It’s also important to remember that, depending on the venue and the set time, often the ‘headline’ set can be the band who plays second last as people may start to leave when it gets too late, and you want to give yourself every opportunity to play in front of as many people as possible. Consider every option and choose venues and supporting bands wisely. How important is publicity - in any shape - to an artist’s career? When releasing music it can often feel as though you have a huge puzzle in front of you. Every piece of the puzzle needs to connect together perfectly and with each new completed section comes a direct link into your audience who will engage with your release. Publicity is the megaphone to an artists release; it gives your music a voice and allows the audience a window into your world! Are you ready for a publicist? Do you have good social content? Are you active in the live music scene? 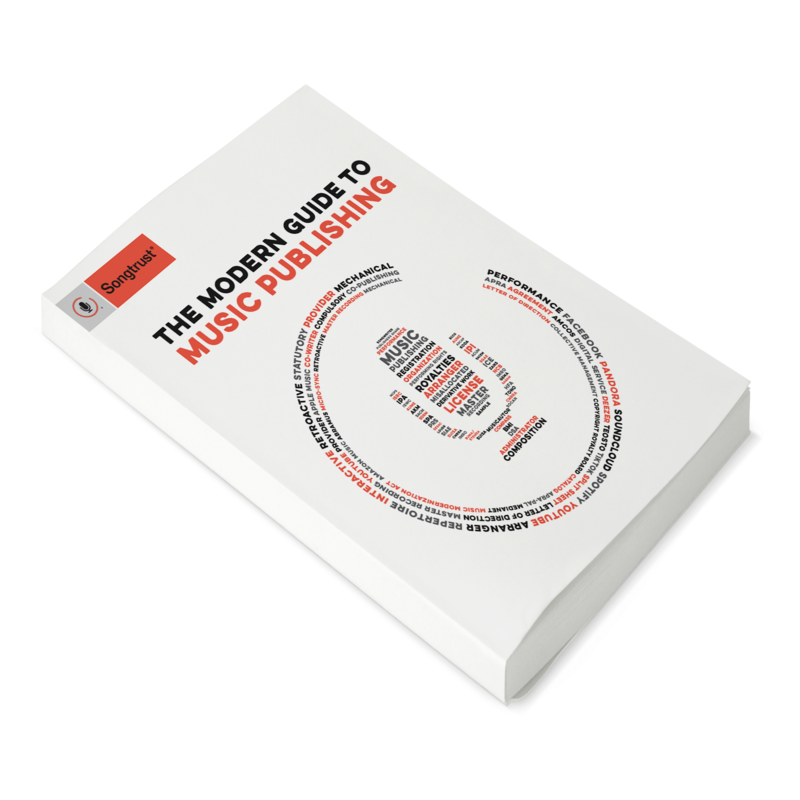 Know your team and take the time to find the right publicist for your release. Some publicists specialise in certain genres so always ensure you’re connecting with a team that know your audience, can help you reach more people and are as passionate about your release as you are. Ensure every piece of the puzzle is in place. Create a timeline for your release working backwards from the release date. Include a content calendar, delivery deadlines (aggregator, community radio, press assets etc. ), asset checklist, tour dates etc. A great publicity plan requires the artist to know exactly what they want and work with the right publicist who will help strategize the perfect plan to achieve results! What’s one of your favorite campaigns that you’ve worked on so far? LISHI (Eleanor Dunlop). This gal has had the most incredible career in music! Her writing is often inspired by her love of movie soundtracks and has achieved syncs with TV shows around the globe, including the title track for ABC series ‘Old School’ starring Sam Neill and Bryan Brown, ABC US shows 'The Fosters' and ‘Finding Carter’, MTV’s ‘The City’, ‘Awkward’ and ‘Catfish’ and on US TV show ‘Guilt’. Eleanor’s former band ‘Cameras’, toured internationally in 2009-2010, which saw them gain huge media and label attention and a nomination for ‘Best Song/Score in a Movie Trailer’ at the Hollywood Music and Media Awards in LA alongside Peter Gabriel, The White Stripes and Lady Gaga. We’ll be working with LISHI on her new single “Token”, which was written as a loving tribute and a way to help accept her father’s passing and acknowledge the love they shared. A huge amount of trust is placed on the team an artist builds around them.This song means so much to Eleanor and we’re incredibly honoured that she has chosen us to work across this release with her and we’re going to stop at nothing to ensure it’s a success. It’s important to us to always meet with an artist after we’ve listened to the music and we still remember our first little ‘tea date’ with Eleanor. we clicked right away and just knew we had to work together! Definitely watch this space and follow this incredible talent across her socials to see her story unfold. What does empowerment mean to ArowAgency? The definition of empowerment really does hit the nail on the head! Empowerment to us means the ability to remain in control of our careers and for our artists to remain in control of theirs. Working in this industry really is like being on a roller coaster; one minute you’re on top of the world and the next you’re questioning every aspect of your creative vision. We’re all constantly questioning ourselves and in those moments we want to be that little voice that says ‘keep going’ to our artists and to the artists and industry friends in our network. Empowerment to us is the ability to keep going, trust your instincts and feel confident in trusting your own vision and ability! With the introduction of aggregators and online royalties collection, artists are now becoming their own label and publisher whilst remaining completely independent. There’s nothing more exciting to us than to see an artist out there achieving amazing results, feeling empowered enough to build their own empire! What’s next for ArowAgency - for the rest of 2018 and thinking ahead to 2019? As we head into our third year of business, we’re excited to continue to grow our services. We have a strong focus on playlist pitching, digital marketing and publicity and we’re also very excited to continue to grow the careers of our artist management family. We honestly believe we have some of the strongest talent on our roster and see a huge and exciting year ahead for our artists in 2019! Our writer/producer Sam Phay is set to launch his artist career before the end of the year with his debut single “Trace”, Lupa J is geering up the release her debut album “Swallow Me Whole” next year and No Frills Twins, Club Yorke and Bad Pony are all in the studio writing for their next releases, which are all sounding huge! One of our biggest visions for the future is to create a supportive community for artists and those wanting to work in the industry. As we continue to grow, we want artists to grow with us and as they grow, we want them to assist others in growing with them too. It’s all about supporting one another! Our goal for 2019 is to be running our little agency full-time. We’re halfway there and with the support of our artist network and the community around us we’re confident we will get there soon! Starting our own business is probably the most challenging thing we’ve done in our lives but it’s also the most rewarding. A fellow manager said to us recently “keep going as long as you can see that light at the end of the tunnel.” That little light has always been there for us since that very first day we sat down in Hyde Park and dreamt up our independent agency!